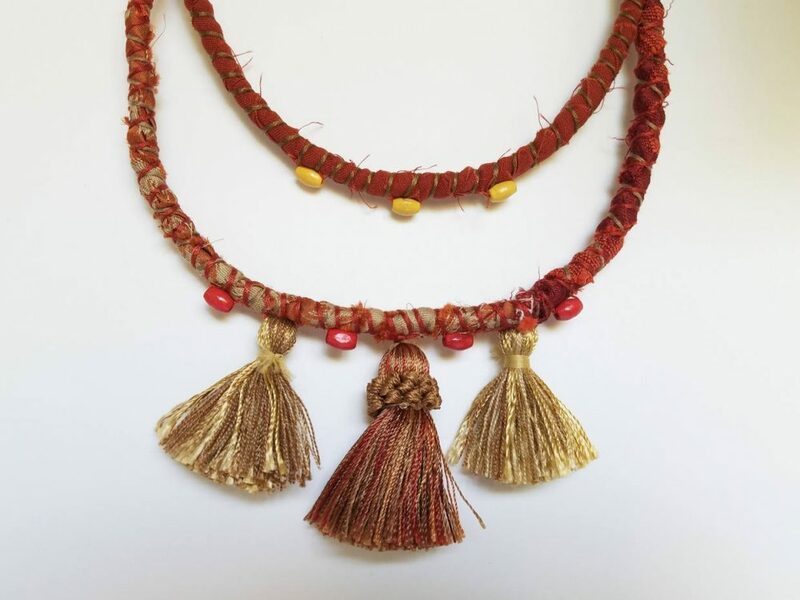 This double-strand red and gold boho necklace is a true statement piece! Made of designer textiles, is great for showing off your confidence and livening up your outfit. 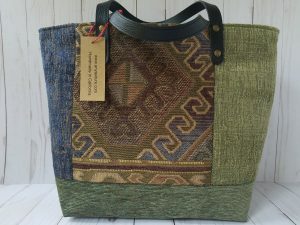 It’s a wonderful gift for the color-loving woman in your life! 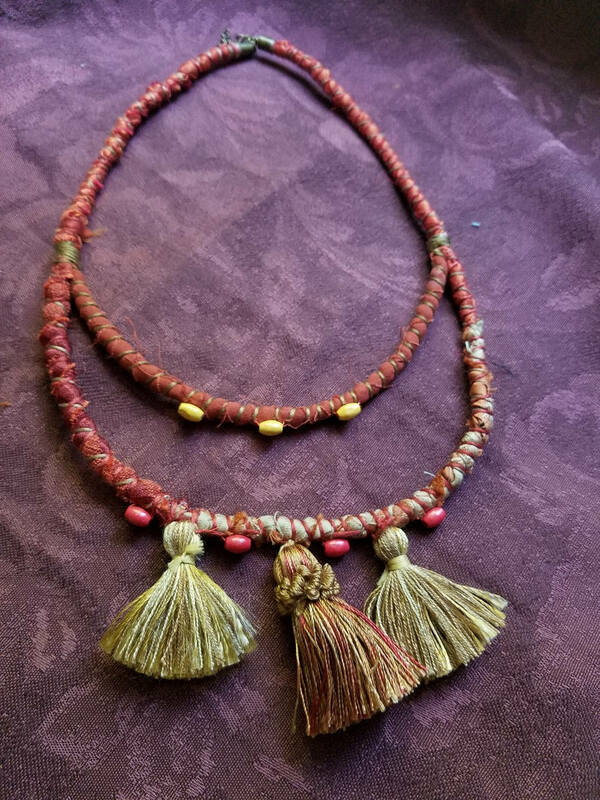 The necklace is constructed from high-end designer cotton and silk fabrics wrapped with several different matching colors of embroidery floss. The necklace is adorned with three tassels, and also with yellow and red wooden beads. 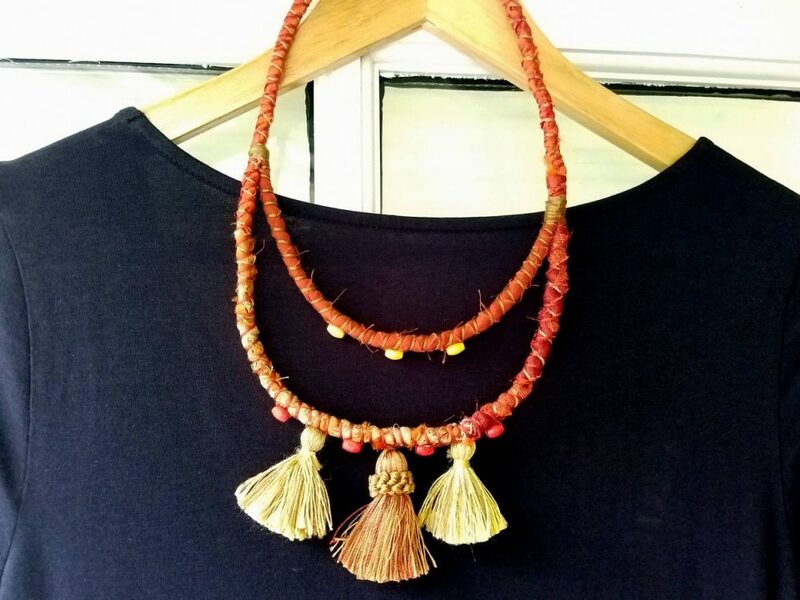 – The necklace is 23.5" long. Made from rescued designer fabrics, that are both gorgeous and strong. 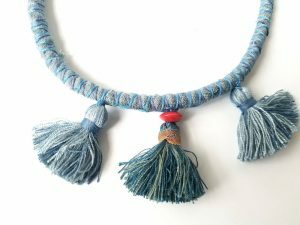 – Cotton and silk textiles. 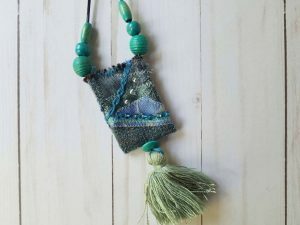 – Uses several colors of embroidery floss. 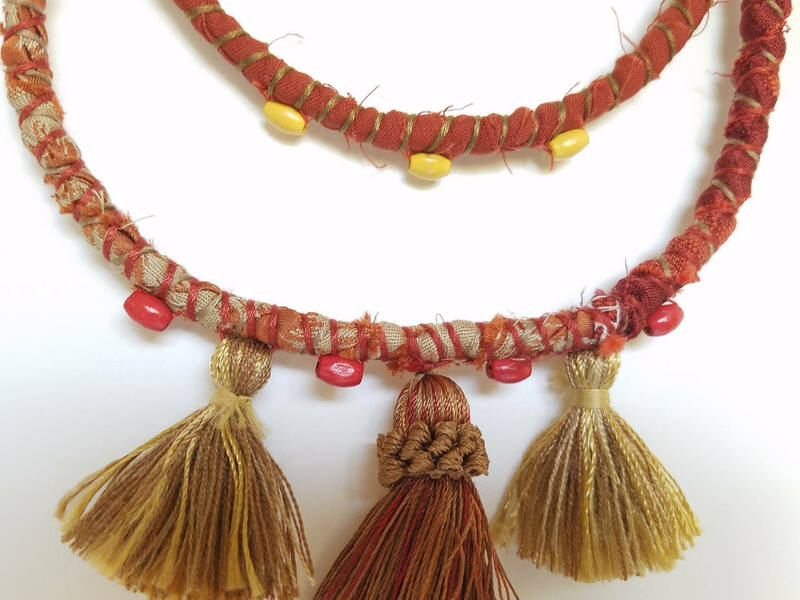 – Features three gold and red/gold tassels. 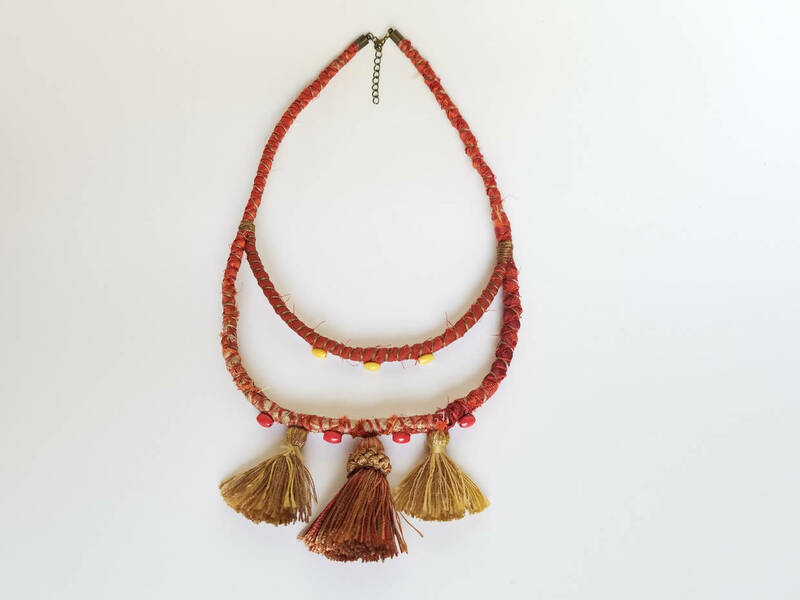 – Adorned with yellow and red wooden beads. – Closes with an antique-bronze swivel hook. 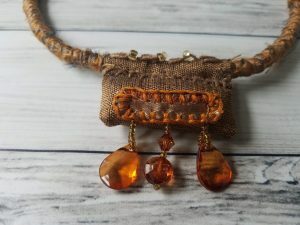 – The closure had a chain which allows a bit of length adjusting. 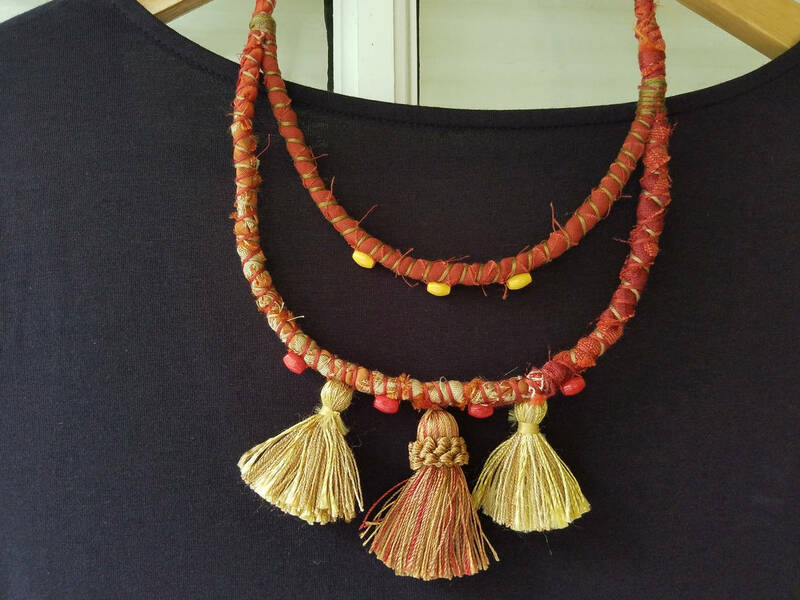 – This piece is sustainable and eco-friendly. – It is designed and made by me in my smoke-free and pet-free home.